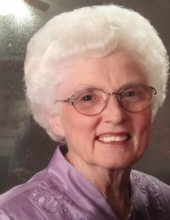 Bonnie Shelnutt Horton, wife of Henry Horton of Northport, AL, formerly of Bremen passed away Saturday, September 1, 2018. The family will receive friends at the funeral home Thursday from 5:00 until 7:00 PM. Services will be Friday, September 7 at 11:00 AM from the Waco Baptist Church with Reverend Ricky Shadrix, Reverend Rick Ousley and Reverend Jason Hatchett officiating. Interment will follow in Forest Lawn Memorial Park. Those desiring to do so may make donations to Waco Baptist Church or Hospice of West Alabama, 3851 Loop Road, Tuscaloosa AL 35404. To plant a tree in memory of Bonnie Shelnutt Horton, please visit our Tribute Store. "Email Address" would like to share the life celebration of Bonnie Shelnutt Horton. Click on the "link" to go to share a favorite memory or leave a condolence message for the family.